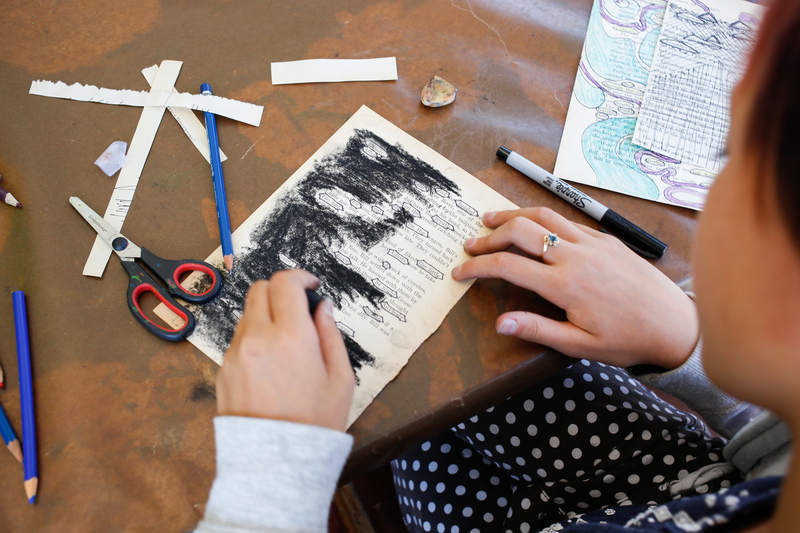 In this journaling club artists will design their own journal covers and explore the pages within them! The pages we will be filled with poetry, drawings and whatever else inspires you! We will recycle old books by gessoing the pages and starting fresh! Any and all materials will be available to help you explore the pages of your new recycled journal!